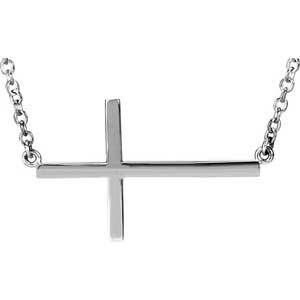 Sterling Silver Sideways Cross Necklace. Available in 3 different sizes. Attached chain measures 18 inches.